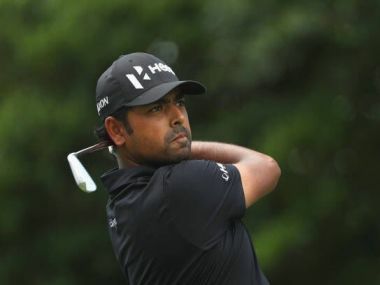 “Well I was beaten by Quail Hollow and hopefully I can come back and make it up,” said Lahiri keeping his humour intact. 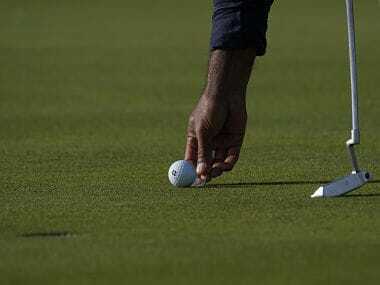 Lahiri then said, “I cant remember when I last had so many bogeys (9) in a single round, at least in my professional career,” he added. The only other Asian Tour player to make the cut KT Kim (75) had a strange final round with two eagles on the seventh and 15th. But he also had six bogeys and a double bogey for a four-over 75 and a total of 11-over 295 in T-67th place. Once again Lahiri had a bad start with a double bogey and then came another bogey. A birdie on fourth was followed by another bogey on ninth and then the back nine just kept slipping away. At one stage he had four bogeys in a row from ninth to 12th and ended with a 78. Lahiri will move to Wyndham Championships next week and then the first two legs of the FedExCup finals. Justin Thomas, winner of the CIMB Classic, the only PGA Tour event co-sanctioned with Asian Tour, grabbed his first Major with a round of 68 despite a final closing bogey. He finished ahead by two shots over Francesco Molinari (67), Patrick Reed (67) and Louis Oosthuizen (70). Rickie Fowler (67) and Hideki Matsuyama (72), who struggled with his putting over the weekend were Tied-5th. Kevin Kisner (74), who had at least a share of the lead from the first round, and Graham Delaet (69) of Canada were Tied-7th. Four players, Matt Kuchar (68), the British Open runner-up, Jason Day (70), Jordan Smith (68) and Chris Stroud (76) were Tied-9th. Rory McIlroy (68) was T-22nd and Jordan Spieth (70) was Tied-28th.